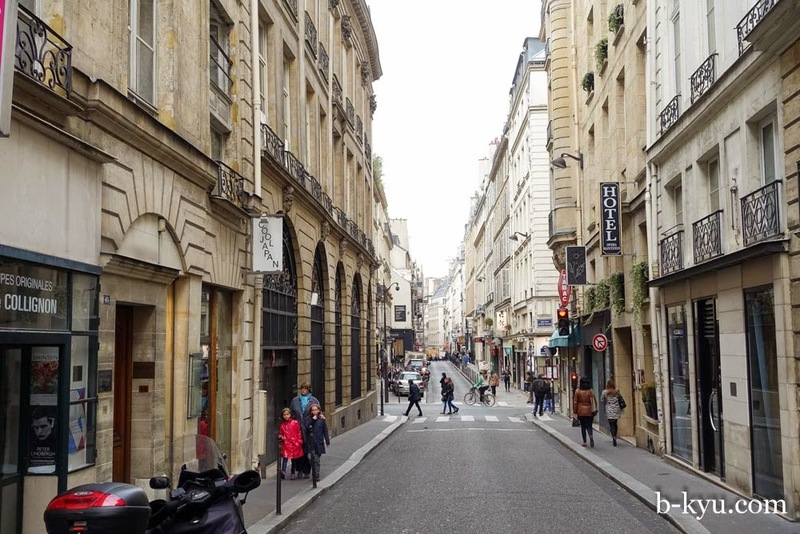 A few narrow streets house the Little Tokyo district of Paris. Get your fill of ramen, udon and gyoza and top it off with mountains of matcha flavoured sweeties. 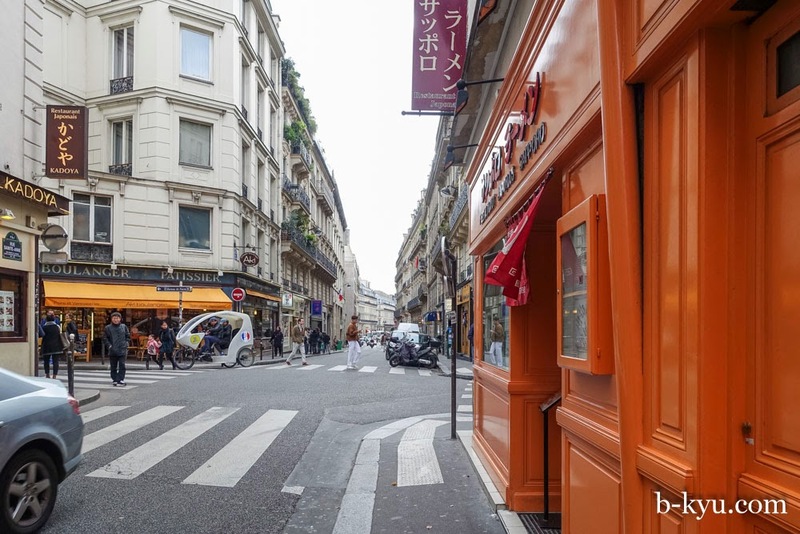 Little Tokyo is the Japan town of Paris. 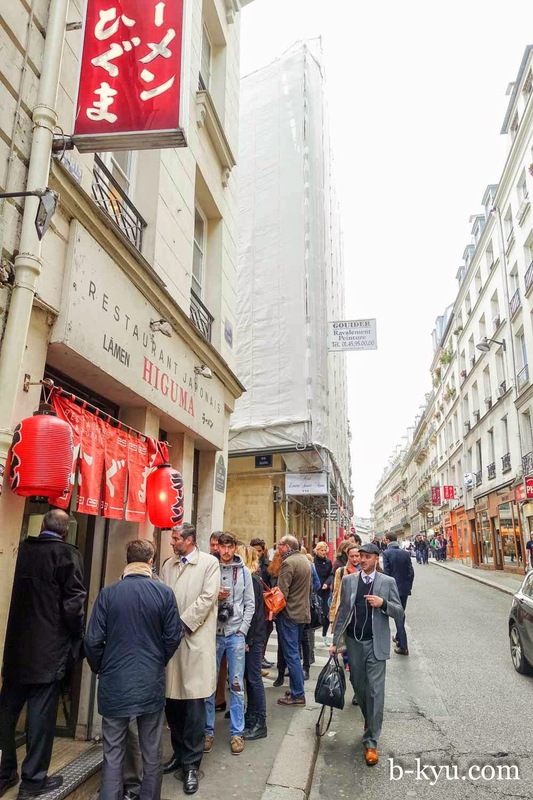 Located mainly on the Rue de St Anne, (off Ave de l'Opera) there's just a couple of narrow streets with ramen bars, izakayas, supermarkets, matcha happy bakeries and a some Korean and Vietnamese places thrown in for good measure. 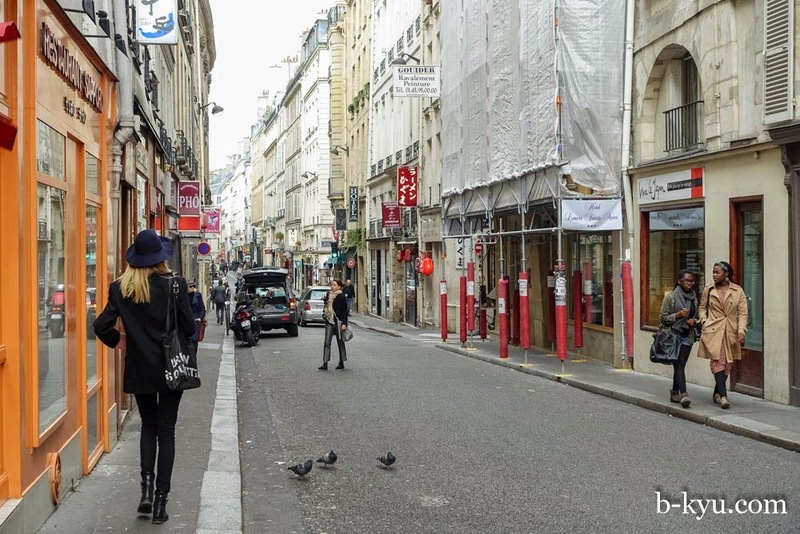 This area was once the heart of the Parisian Gay scene, so once that moved on to the Marais the next wave moved in to fill up the empty cheaply available store fronts. Narrow streets and footpaths make it a place you need to be careful walking around, especially during the midday lunch rush. 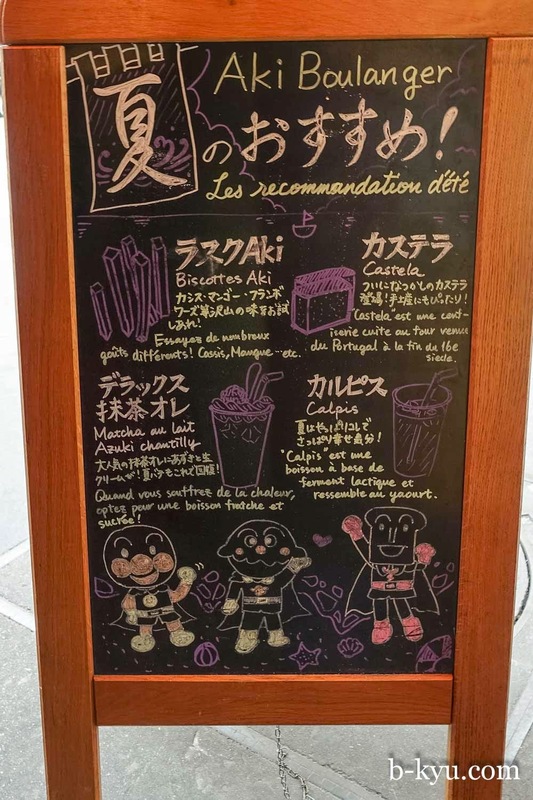 There are a dozen or so restaurants in the area, we couldn't get a feel for how good many of them were in just one day but they looked light years ahead of the rest of the Japanoise joints we saw around town. 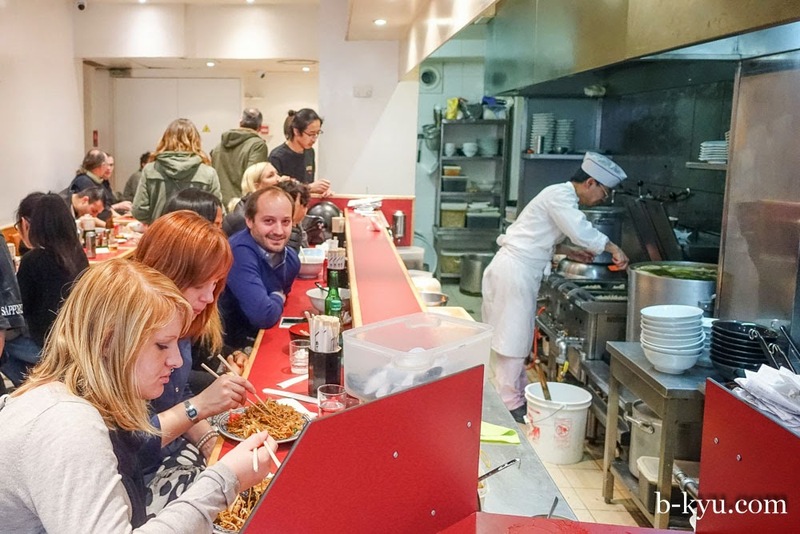 Higuma is well known for its stir frys and gyozas, with long queues at lunchtime. But we weren't in the mood for fried stuff. 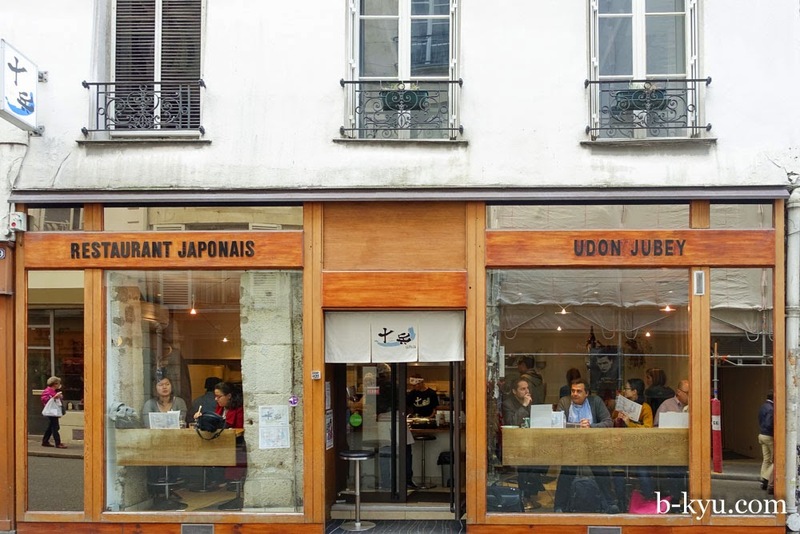 Udon Jubey has replaced the popular Kunitoraya, which has moved its udon goodness around the corner to rue Villedo. (You must click on the link for Kunitoraya, it has one of the best scrolling actions of any website and make sure you follow the little image on the left hand side.) But we weren't in the mood for udon. There are a couple of grocery stores in the area, the biggest is K-Mart (not the same as the department store). 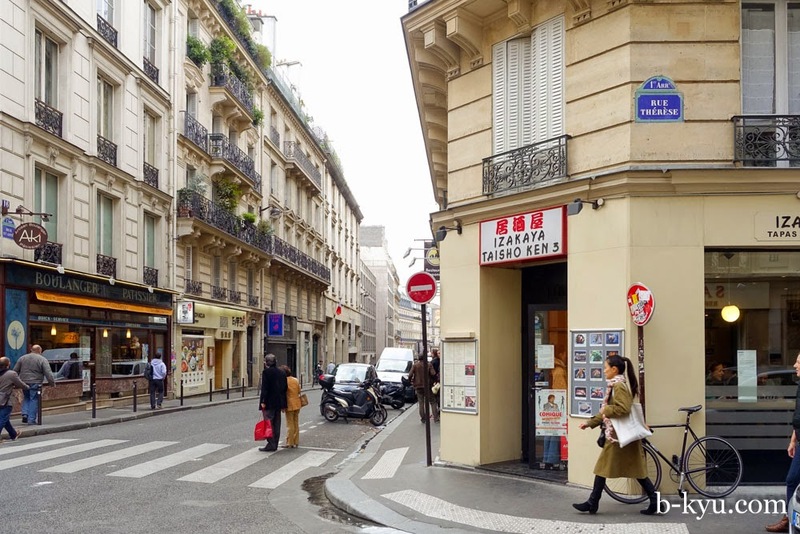 This was one of the only places we found a wide selection of Japanese and Korean groceries in Paris, most of the Asian grocery stores in the Quarter Chinoise or Belleville stocked Chinese or Vietnamese imported goods. It was a little cold in the city so we're in the mood for some ramen from Sapporo, it looked like it had the ramen goods. When you walk in there's that spot on Japanese feel of the long noodle bar where you can watch all the serious noodle making action. We picked Sapparo at random just from the look of the place and are happy to report the ramen was pretty good, nothing super fancy but a good honest ramen at a good price. 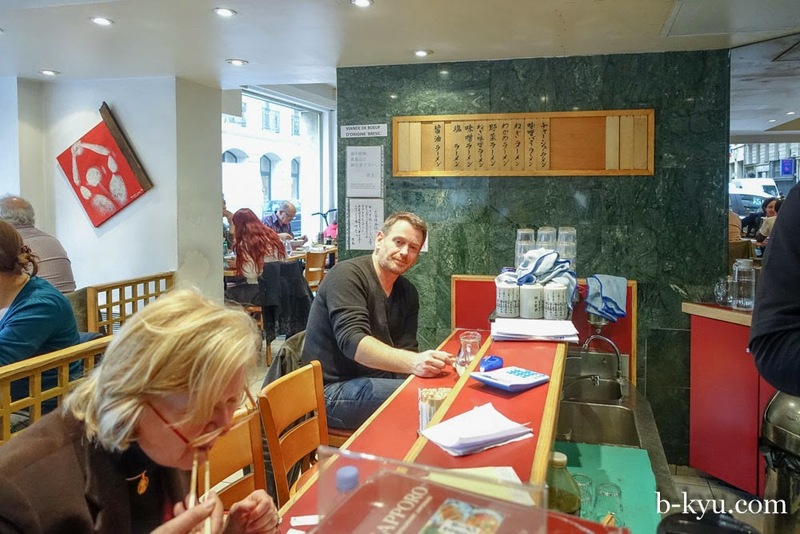 Eating ramen outside of Japan and some Japanese areas of cities can be a very hit and miss affair, mostly miss. They got it pretty right here, most probably because they specialised in it. When we first entered the restaurant was more packed than one in Tokyo, it was so squishy the waiter has to pull the table out so Alison could squeeze in against the wall. 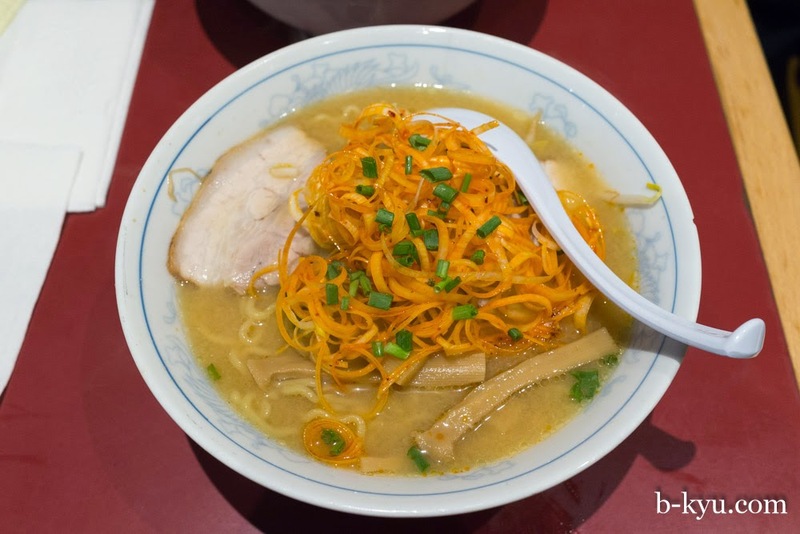 Alison's negi miso ramen was the milder style of miso ramen, a little nutty and sweet. The negi was coloured a little orange. 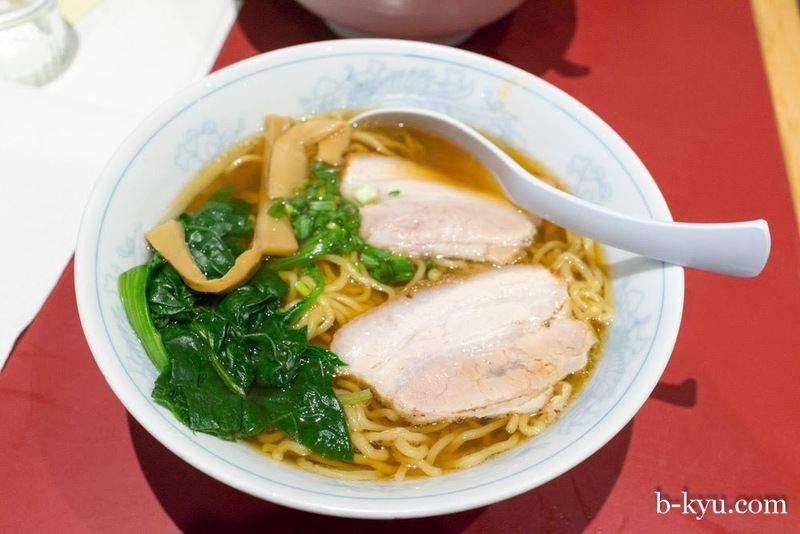 Shawn's shoyu broth was spot on, with a thick style springy noodles that were well cooked. The roast pork slices were nicely fatty along the top. 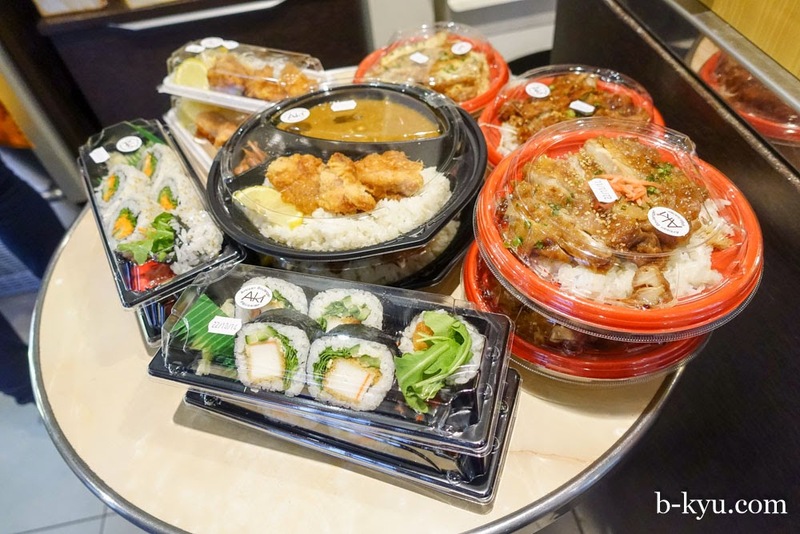 Sapporo is at 37 rue Sainte-Anne, 75001. 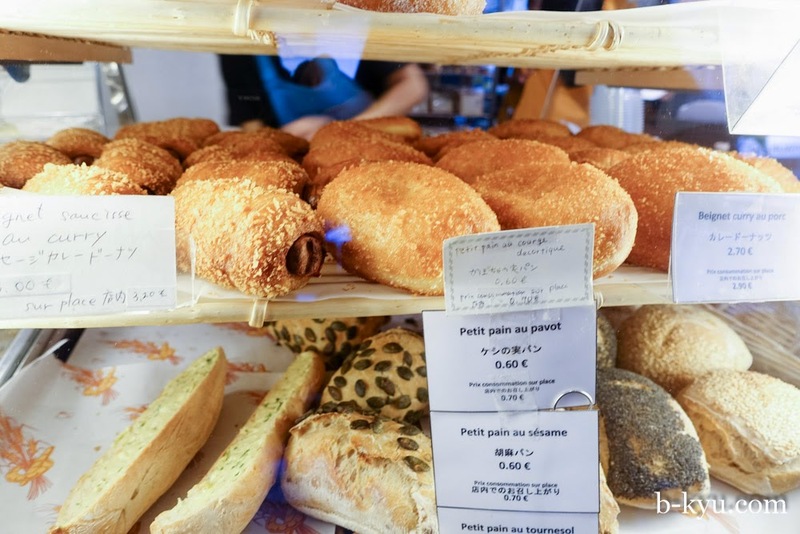 In the middle of the district is one of the many Japanese run bakeries in Paris that take an otaku cult like obsession and mix it with the French art of baking. 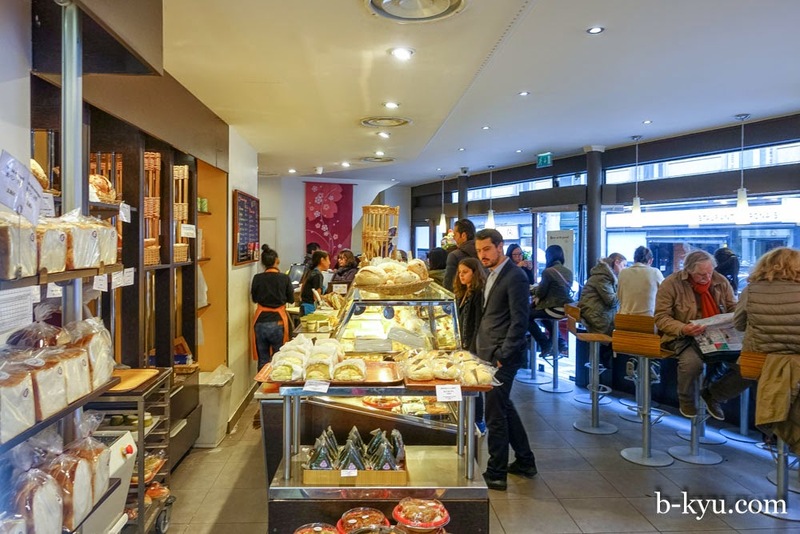 Aki Boulanger was spot on mixing Paris and Tokyo, with a little bit of Lisbon thrown in. Super cute signage was so Japanese. 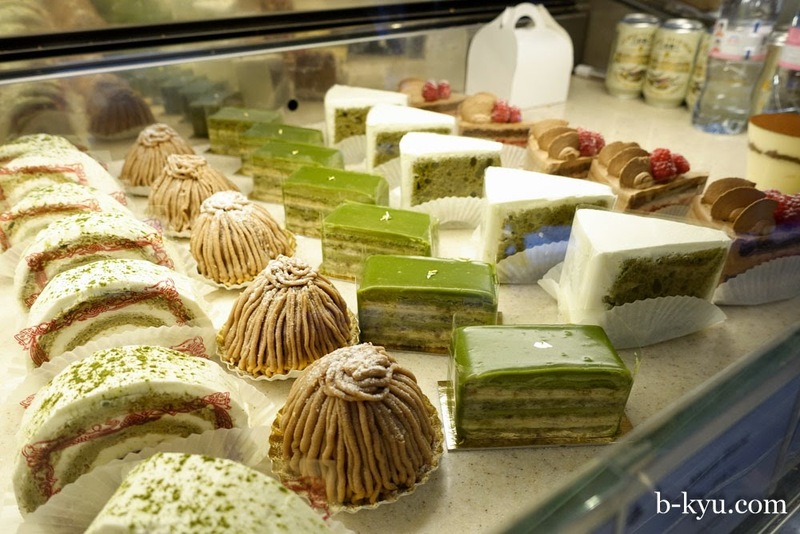 Inside the bakery were places to sit and enjoy coffee and cake, or a green tea au lait. Beignets filled with Japanese curry were tempting. 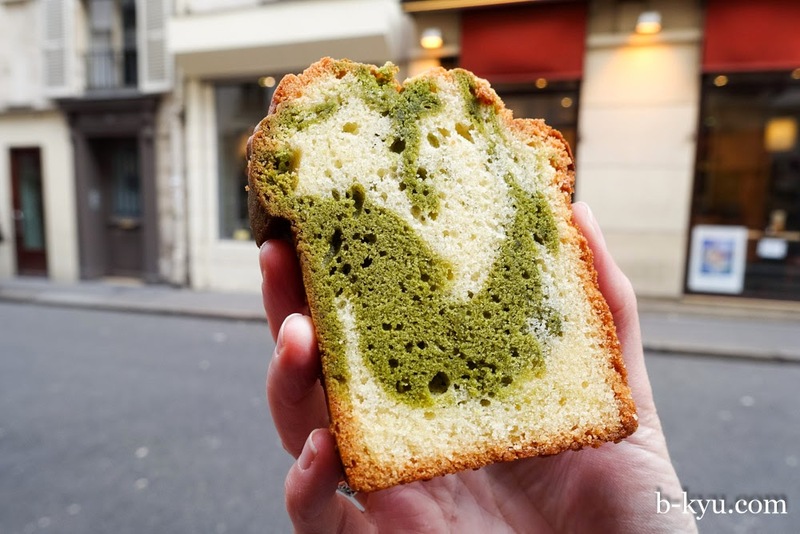 This shop must go through piles of matcha powder a day, nearly every standard French bakery treat was offered in green tea flavour. 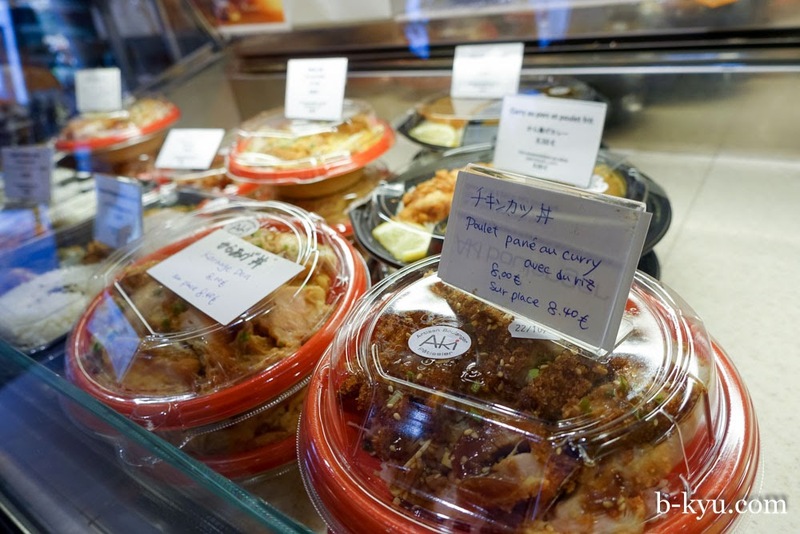 There were savoury takeaway lunch boxes filled with curry chicken or karaage. 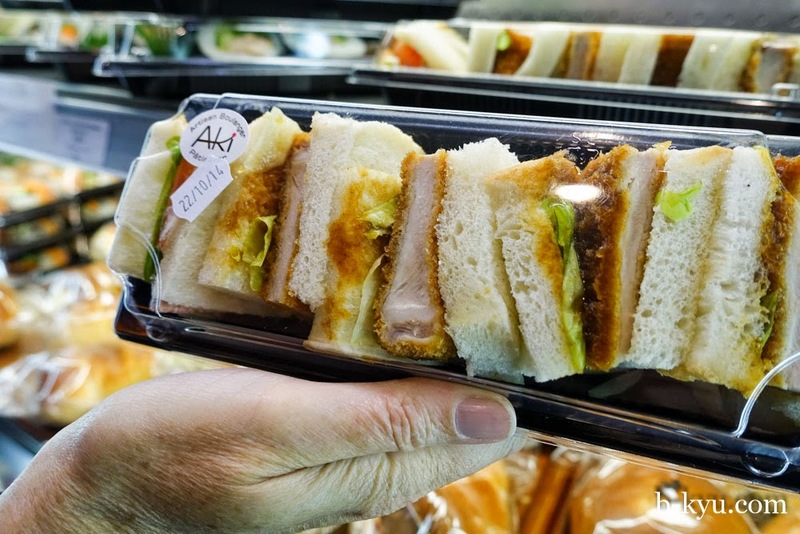 Delicate high tea sized tonkatsu sammiches. 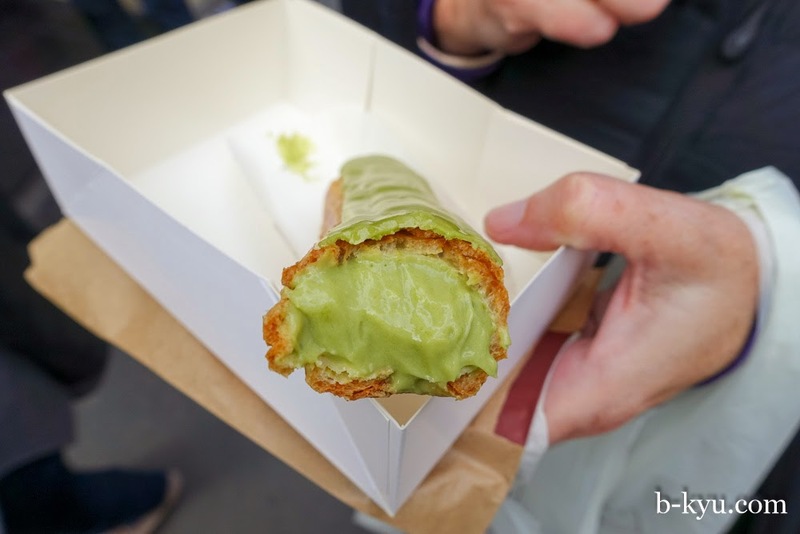 Beautiful bright green tea custard filled eclair with green tea icing. Sweet marble caked swirled with matcha flavour ended the feast. 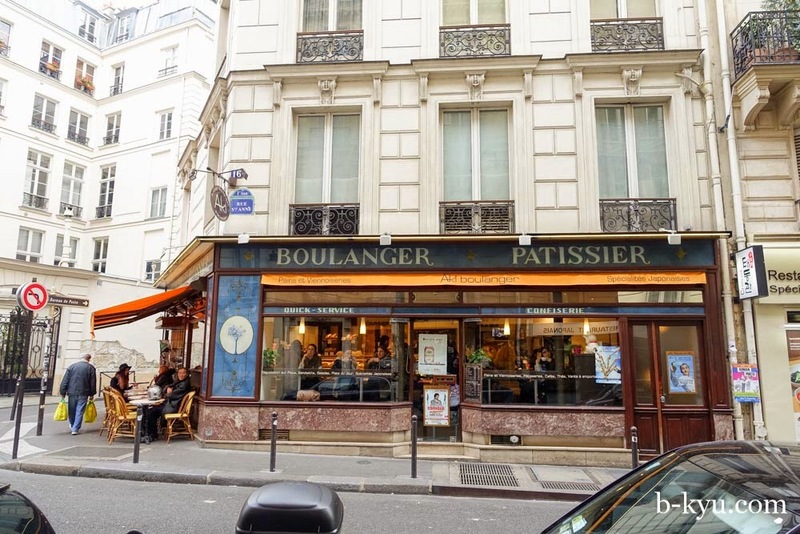 Aki Boulanger is at 16 rue Sainte-Anne, 75001. 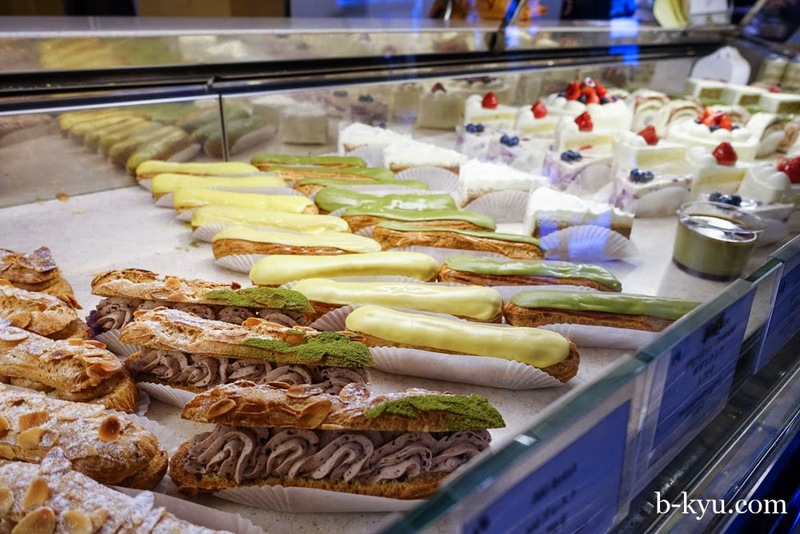 We love Paris, and we love Japanese French bakeries!